Fruit-Picking: You can go and pick peaches and strawberries and raspberries and blueberries in almost any part of Connecticut. There are plethora of farms; I like Bishop’s Orchards in Guilford, CT for its vicinity to New Haven and the added bonus of apple cider donuts at the farm market. Buttonwood Farm in Griswold, CT: They grow a giant sunflower field for charity, which blooms at the end of July. I get really happy just walking through the farm being surrounded by sunflowers. They also make sunflower ice cream, which is pretty delicious. The Milford Oyster Festival in Milford, CT: It’s great fun to come and watch the oyster-themed competitions that take place. 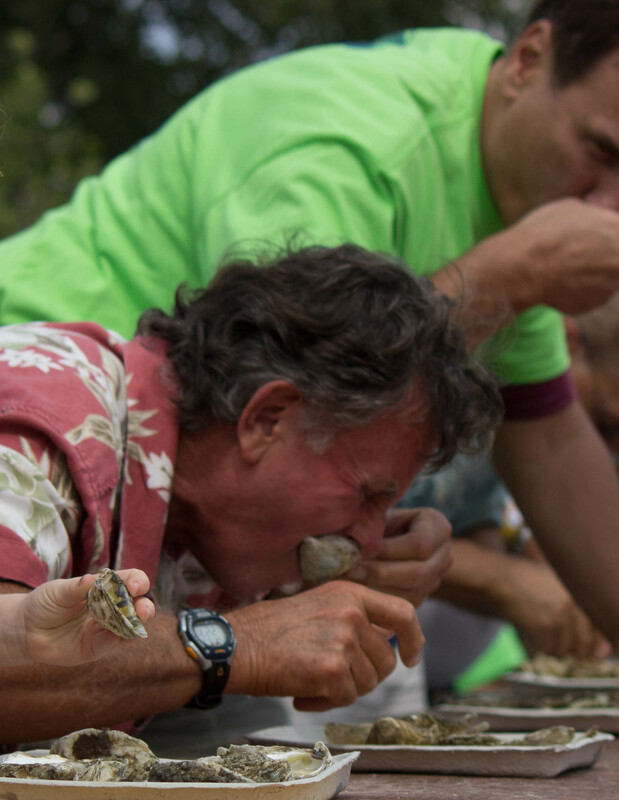 They have a oyster-shucking contest as well as an oyster-eating contest. The oysters are pretty good too. Hamonasset Beach in Madison, CT: This is my favorite beach in Connecticut. It’s very long and very clean and at the end there is a jetty where you can often find people fishing or catching crabs. The parking is expensive in the summer season but if you go after 4pm, the parking is much cheaper. Be sure to make a stop at Lenny and Joe’s Fish Tale for a lobster roll before or after your beach excursion. The Durham Fair in Durham, CT: This is the largest agricultural fair in New England (I don’t really know what this means) but it’s a really interesting fair to attend. There is a carnival as well as lots of local food stands. You can watch ox pulls and marvel at how beautiful the livestock are in the best of show competitions. They also have a demolition derby, which is one of the most interesting events I’ve ever seen in my life. Who knew that junky cars smashing into each other could create such excitement. The Thimble Islands in Branford, CT: These are a group of private islands located in the Long Island Sound. You can take a cruise around the islands on Thimble Island Cruises. The scenery is beautiful and the captain will make lots of corny jokes as he gives you the full tour (and it’s only $12! ).